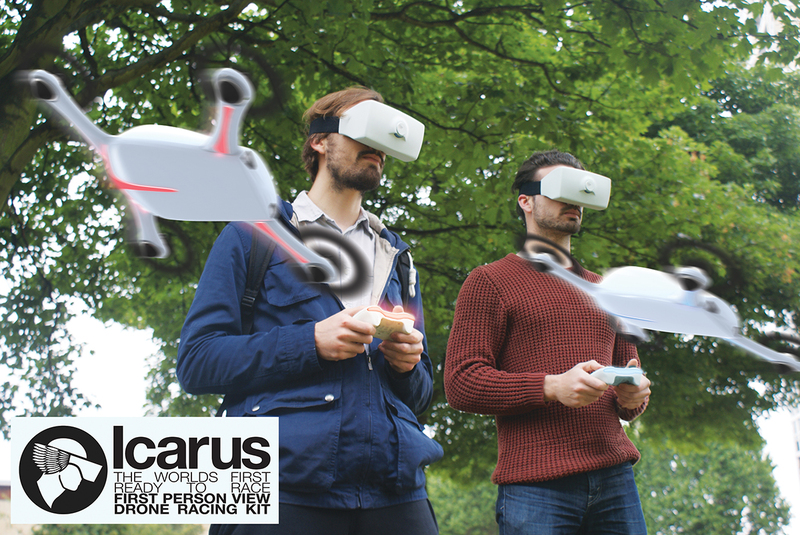 Click here to check out the Icarus First Person View Drone Racing Kit, my Final Major Project I’ve just completed at Ravensbourne. Please feel free to comment, share and check out my website at www.danjonesdesign.com. The Icarus first person drone racing kit is my final major project I am working on for university. 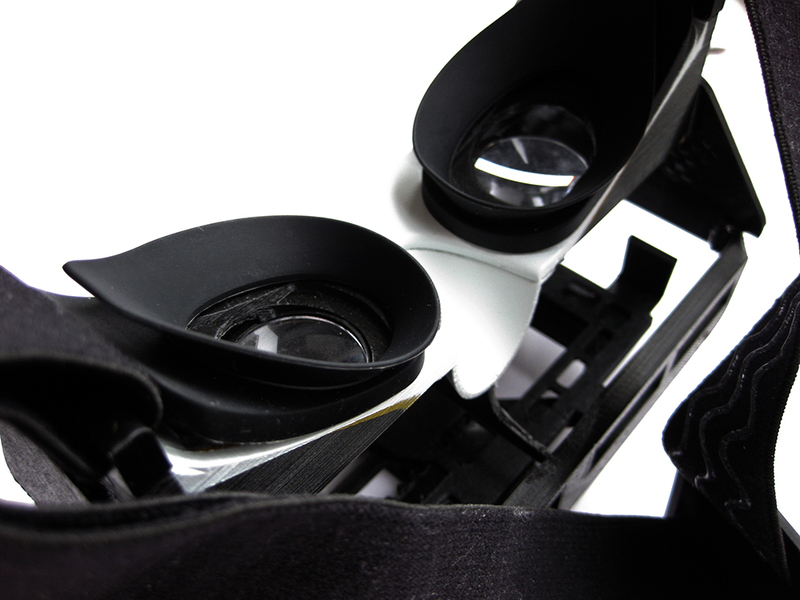 It is a ready-to-race kit that enables users to experience first person view drone racing in a safe and affordable way. 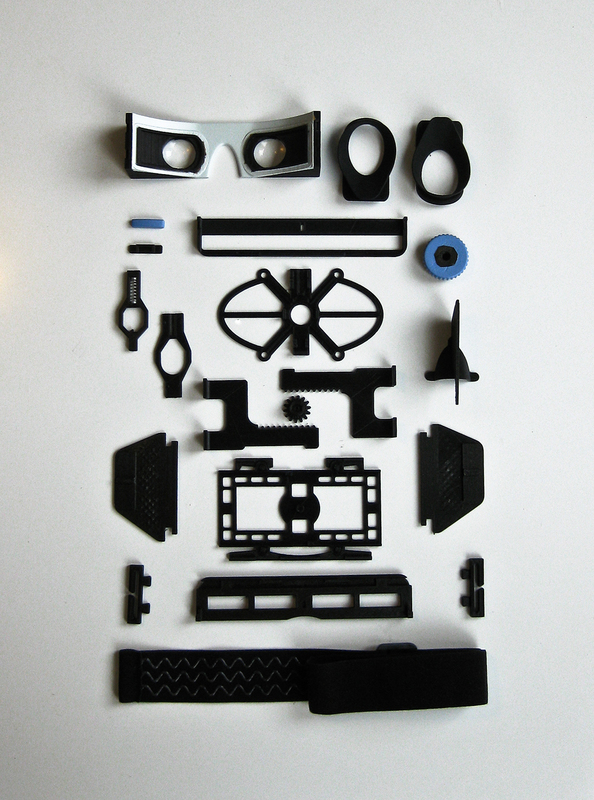 The above image has all of the internal components for the Icaras first person view drone racing headset laid out prior to assembly. 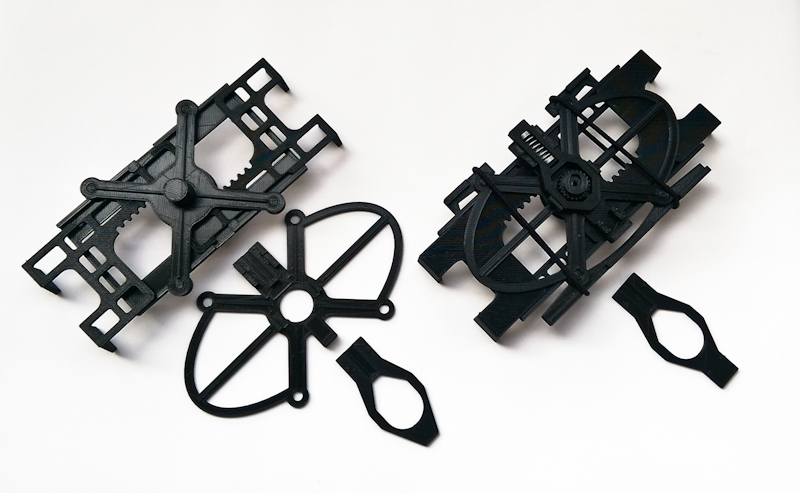 I designed all of the parts in SolidWorks and 3D printed them out using an Ultimaker 2 in black PLA. The externally visible parts have been sanded, filled and sprayed to fit the colour scheme of the finished product. The above image shows the internal structure in its assembled form. 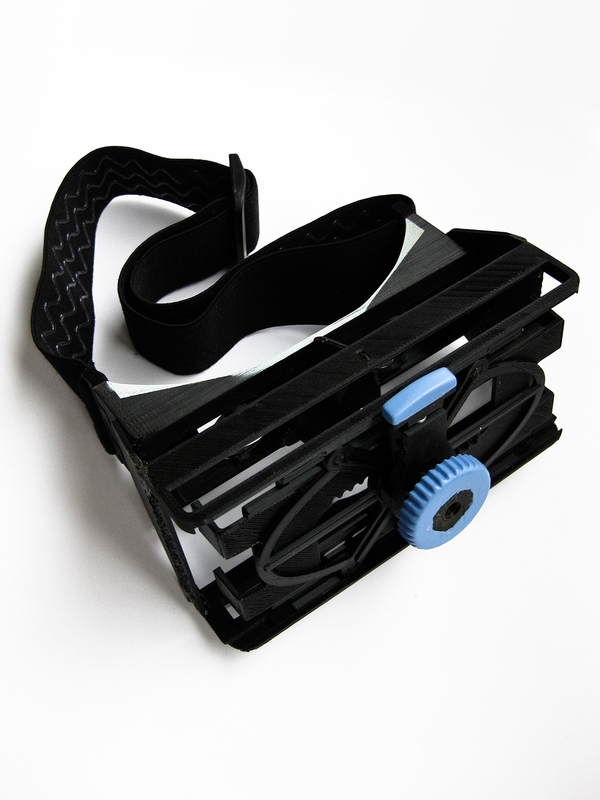 The blue wheel rotates to tighten the internal smartphone locking mechanism. To release the lock, simply press down on the top button and rotate in the opposite direction. 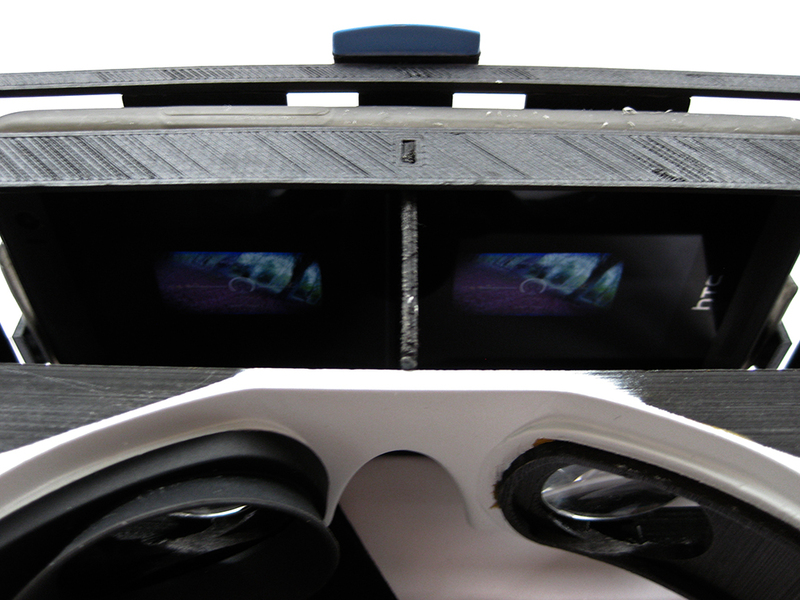 This is a shot of my HTC phone in position streaming a stereoscopic video of a FPV drone race. The phone is comfortably locked into position and the focal distance is correct. Time for some fast paced, FPV drone racing action! I don’t even know where to begin with trying to explain what the world of Kenny Dennis is all about..? I guess the best way to do it is to keep it simple and let the albums do the explaining. I wont go into the history of Dennis because there are plenty of album reviews out there that will do a much better job of explaining it. My introduction to the rapper KDz came in the form of these two videos, Lazer Tag and Don’t Blame Steve, check ’em out. For me that was enough, hook, line and sinker, I had to find out what this dude was about! Kenny Dennis is a flawed, comical and loveable character that evolves over three storyline-based studio albums, Kenny Dennis Ep, Kenny Dennis LP and Kenny Dennis III. Produced by Odd Nosdam and Jel, the albums feature some of the most original sounding hip-hop, pulling in influences from various genres. These albums are multi-layered and with each listen you find out something new about Kenny Dennis and his close friends, family and foes. What at first appears to be light-hearted rap soon turns into a deep and complex narrative, and yet it never feels forced, the lore of Dennis’ existence builds as connections are made between tracks and albums. There’s so much to say about these albums, but rather than have both of us struggle, me writing and you reading, check out the album links, show your support and buy the albums if you dig it. Between my brother and I we own all three albums on vinyl and they get a heavy rotation on the decks. KDz is the man and I would party with him! I couldn’t find a decent version of of the EP on YouTube so I’ve posted the playlist for the LP and Kenny Dennis III. Let me know what you think, are there other artists out there that you think fans of KD would like? Get in touch, let us know! Thanks for checking out my Desert Island Albums list, you’re awesome! Pincraft Photography has been awarded a Silver Star Award and joint third place in the Student Starpack 2015 competition. My design solution for Brief D: New Use For Corrugated Board is a completely recyclable and reusable pinhole camera service and product. The user can easily assemble the pinhole camera in ten minutes, snap 12 unique black and white images on 120 film and use the camera as the packaging to return the film for developing and printing. The design is kept minimal to encourage the user to customise their Pincraft camera by adding their own artwork and accessories. I’ve always been fascinated by Augmented and Virtual Reality; the ability to completely immerse yourself in something that can appear so real. Well I’m happy to see it get taken to the next level in such a cool way. Check this video out and tell me you don’t want to have a go!